Only teams win championships. I can remember going up against a team that had four superstars. These athletes were so good, each of them individually seemed almost unstoppable. Their presence on the team was intimidating in every contest, and their presence actually made their team better. Yet although these superstars were awesome players, they could not defeat an opposing group of men who actually were more committed to functioning as a team, even though they were less talented athletically. I remember going up against the four-superstar team and wondering how it would all turn out. I remember in the third quarter, we actually stopped keeping score because we were beating them by more than 40 to nothing. We destroyed the superstar team–we worked all our plays around their key players, and as all eleven of us functioned as one, they could not stop us. There is less and less of true team play these days–it seems like everyone wants to be a superstar, and not many know how to function as a unit. 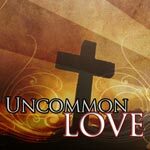 But this is what God calls us to in the Church–to function as a team, to build each other up, to do everything we can to fervently love each other from the heart, and never do anything that would hurt us as a team in order to accomplish God’s purposes. Which one are you most like, the independent superstar or the true team player? 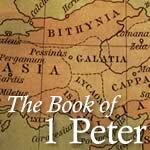 Open your Bibles to 1 Peter chapter 2 and listen to Peter’s heart. On God’s team, are you the cheerleader or the complainer? In your current trial, are you blaming others or trusting God? Are you one to complain about, or reach out to, your neighbors? At your school, do you encourage those who are different, or laugh at them like everyone else? In this church, do you accuse, question and criticize others, or support, love and build up others? This is what verses 1-3 ask us. I always thought these verses taught us to long for the Word of God, but since we are only concerned about what Peter intended to say and not what I think, or what someone else says it means, let me help you see Peter’s powerful message to us. Verses 1-3 command us to passionately build community. These three verses give us three keys to building relationships. In chapter 1 verses 1-12, Peter has been reminding these embattled Christians, who are now scattered in churches in a harsh region around the Black Sea, that God has abundantly blessed them in their salvation. Then Peter commands them in verse 13 to hope in the coming grace of God, when Jesus will fix everything that is wrong, to be made uniquely holy just like Jesus Christ in verse 15, to fear God in verse 17, because God has redeemed them. And finally, to fervently love one another in the Church community in verse 22, because God has caused them to be born again in verses 23-25. As you take your outline, and look at chapter 2 verses 1-3, Peter is now going to tell us what hurts loving relationships between Christians, and what builds those loving relationships. Do you sometimes treat others unkindly? Are you one who avoids others because of previous hurts? What is it you do that ruins your friendships at school, or with other Christians? Are you finding yourself really struggling this morning with your growth in Christ, where you almost feel stuck? Peter is going to answer these questions in verses 1-3. Verse 1 “Therefore, putting aside all malice and all deceit and hypocrisy and envy and all slander,” The first thing you must see here is that Peter is not talking to you as an individual, he is speaking to us as a church, and our relationships we have with each other. How do we know this? 1 Peter starts verse 1 with “therefore”, which connects this thought and this verse to the command in verse 22–“fervently love one another from the heart.” Don’t let the chapter division fake you out, verses and chapter divisions were not a part of the original text–they were only added later so we might find our way through the Scripture. Verses 1-3 are still focused on our relationship to one another. 2 The next section in verses 4-8 describes us as living stones, depicting our relationship to Christ and to each other. 3 Every verb in verses 1-3 is in the plural. He is not talking about you individually, Peter is talking to ‘southern Christians’–‘Y’ALL’, again about our relationship to one another, y’all. 4 In verse 1, the things Peter wants us to put aside are the words, attitudes and actions that destroy our fervent love for each other. These are the things that hurt us, not just you. The point of verse 1 is to strip off all actions that ruin friendship, so Peter says stop everything that damages the relationships in our church family. Don’t hurt God’s team. Verse 1 is vivid–Peter says laying aside. After I have worked outside all day in the yard or on some disgustingly dirty home project, I will take a shower and get all the skuzz off. Not once have I ever gotten all “squeaky clean”, then after washing up put all my disgusting clothes back on. No, I lay those dirty clothes aside. Why? Cause they are loaded with grass, dirt, sweat, plant parts, spiders and doggie doodoo, so I dump them in the laundry. Sometimes I am so sweaty and I want them off so badly, I unintentionally tear them off. This is what Peter is describing. To lay aside is the picture of stripping off disgusting garments. God is speaking to you–He wants each of us to strip off all the actions that destroy loving relationships. Right now, evaluate your speech with others; check your attitudes and actions with others and if any of this exists, like bird droppings on your shirt, tear it off and lay it aside. And Peter isn’t telling any of us to fight these relationship ruiners, he wants all of us to drop them like a hot potato and walk away. The verb says all of you in an ongoing way, act upon yourselves to strip these actions off. Why? Because this is what messes up your friendships at school. This is what causes you to hurt people you love. Verse 1 “Putting aside all malice and all deceit and hypocrisy and envy and all slander,” notice how comprehensive God is being here . . . three alls and two plurals–all malice, all deceit, plural hypocrisies, plural envies and all slander. The three alls refer to all the bad actions or words toward others. And the two plurals are the bad heart issues that must be done away. All of these, all the time, must be torn off. No exceptions, no excuses, no compromises–all of them. Stop doing all these things, all the time, if you’re going to have a loving church, if you’re going to enjoy true friends, if your home is going to be a loving environment–these must never be allowed! Stop! All malice–that is when you desire to hurt someone with words or deeds. Malice is the kindergartener who inflicts pain, harm or injury on other kids. Malice is the circle of students who spread hateful lies. Malice is the church member who presumes evil about the actions of another, and shares that hurtful gossip with others. This is why Paul says in 1 Corinthians 14:20, “Brethren, do not be children in your thinking; yet in evil [malice] be infants, but in your thinking be mature.” Malice destroys loving relationships and must be stripped off. All guile–a desire to gain some advantage or preserve some position by deceiving others. The word originally meant bent, or a fish hook, used to deceive a fish to its death. Guile is information that appears tasty, but it is a deadly lie. Notice in verse 2 the word “pure”. Guile is the opposite of pure. Guile is the same word for pure with a Greek negative on it. Guile means contaminated–guile looks like it’s true, but it’s a lie. Guile is a falsehood, a crafty seduction, a partial truth. God wants us to be like Nathanael in John 1:47–“Jesus saw Nathanael coming to Him, and said of him, ‘Behold, an Israelite indeed, in whom there is no deceit!’” No guile! All guile destroys friendships and must be laid aside. Hypocrisies–when you desire not to be known for what you really are. This is when you function as an actor, or pretend to be someone else. This is a spirit of insincerity, behaving in a way that is not genuine. It is acting as if you don’t sin, pretending you don’t battle with temptation, behaving like you are better than what you really are–acting like you are better than others. This is acting one way with your friends, and another way at home. This is when you are gracious at church, but a grouch at home. Jesus hates hypocrisies–Matthew 23:28, “So you, too, outwardly appear righteous to men, but inwardly you are full of hypocrisy and lawlessness.” Hypocrisies destroy trust which always ruins relationships–stop! All slander–this is when your desire for revenge and self-enhancement cause you to speak badly of others. When you’re driven to deflect attention away from your own failings, you will often put others in the worst light possible. It is the opposite of commendation, or speaking well of. It is to accuse others, or to make an evil speech about another. The Greek word slander is onomatopoetic, meaning it sounds like what it means–the word is kata lalia–to whisper, backbite, gossip, talk. Listen to Paul’s concern for every church, including ours, in 2 Corinthians 12:20, “For I am afraid that perhaps when I come I may find you to be not what I wish and may be found by you to be not what you wish; that perhaps there will be strife, jealousy, angry tempers, disputes, slanders, gossip, arrogance, disturbances.” All of this verse, and verse 1 of our text, “all malice and all deceit and hypocrisy and envy and all slander,” all destroy fervent love for each other. They wreck marriages, hurt friends and destroy churches. These stop Christians from being kind to each other. So Peter says tear these dirty old clothes off, because they are hurting those you love and violating your witness. Peter just told us a few verses earlier that you have been reborn, you’ve been made new, you have an entirely new life. Therefore, don’t live like you used to, don’t tear each other apart, and don’t violate the repeated command to love one other. You can’t love God and not love His people, and if today you are “wrong” with someone in this body, you are “wrong” with God. Make certain today you’re unified, at peace, with no issues that exist between you and the people of this church. Today, some of you need to honor Matthew 5:23-24, “Therefore if you are presenting your offering at the altar, and there remember that your brother has something against you, leave your offering there before the altar and go; first be reconciled to your brother, and then come and present your offering.” Make it right now, go to your brother or sister and ask their forgiveness. Romans 12:18, “If possible, so far as it depends on you, be at peace with all men.” If you are going to lay aside those things that damage relationship, then you must make things right when you do. The only way to truly tear off all those old actions that harm relationships is to make it right when you do hurt someone. One of the main differences between a Christian and a non-Christian is not that we don’t hurt each other–we will. The difference is, we seek forgiveness and grant forgiveness when we do. Kill your pride, humble yourself, and go make things right with your brother or sister today. But it is not enough to strip off all the actions that ruin relationships–we don’t just stop doing bad. We also need to . . .
Verse 2 is where the passage becomes difficult to interpret. Look at the various translations listed for you in your outline. ESV Like newborn infants, long for the pure spiritual milk. NIV Like newborn babies, crave pure spiritual milk. NASB Like newborn babies, long for the pure milk of the word. NKJV As newborn babes, desire the pure milk of the word. The ESV and NIV actually do a better job of translating the Greek in verse 2 than the NASB and NKJV in this rare instance. Notice the underlined words. The NASB and NKJV translate the Greek word logikon as the phrase “of the word”, but the ESV and NIV translate logikon as “spiritual”. Logikon is a very difficult word to translate into English, but it is closer to actually meaning “spiritual” than “of the word”. The literal translation of verse 2 is, “Like newborn babies, strongly desire the uncontaminated appropriate spiritual life actions which will grow all of you as a body.” Look at it word-for-word, and draw out what Peter says. “Like newborn babies” is not a reference to immaturity desiring maturity, but a brand new infant who hungers for milk. Have you ever known a newborn baby to hunger for IN-N-OUT? How about an infant who wants five-alarm chili? No, a baby desires mother’s milk–in fact, it screams for it, makes a fuss, gets angry, is intent on only one thing. Beyond a want, stronger than idolatry, more passionate than lust, longing is an absolute, unqualified, singular necessity for babies. A baby desires milk as if it had never had milk even four hours before. A baby longs for milk as if its life depended on its next feeding. Own this passion–the Greek word for “long” is used to describe a desire for food when you are starving, not just hungry. Long describes the grief you feel when a loved one has died. Long is used to portray the heart of a parent toward a wayward child. To long means you will not be satisfied until you get it. God commands us to desire, to long for something like a baby wants milk. And Peter commands all of us, y’all, plural, to long this way. This is not an individual command, this is not just for you. Long for is a corporate command–it is for the Church to pursue. We are all together to long for this . . . what? This extremely intense longing is for pure milk. This milk is not contaminated but pure, clean, healthy and good. But more specifically, it is undeceitful milk. Remember the word for pure here in verse 2 is the opposite of the word for guile in verse 1. Pure is the opposite of deception–pure milk is non-deception, pure milk is accurate, correct, exact and true milk. 1) The root for this word is logos, which often means the written Word of God. But if Peter wanted to tell us to long for the written Word of God here, he would have used the word logos, since he just used the word logos four verses earlier in verse 23, when he said “through the living and enduring word of God“–that’s logos. Since every word is inspired in the Bible, Peter intentionally chose, and the Holy Spirit superintended, the use of a word other than logos to say something unique here in verse 2. Logikon is used only one other time in the New Testament–in Romans 12:1, “I urge you, brethren, by the mercies of God, to present your bodies a living and holy sacrifice, acceptable to God, which is your spiritual service of worship.” Logikon is translated “spiritual”, or in some versions “reasonable”, giving us one clue to its meaning in 1 Peter 2:2. 2) The etymology of logikon, or how it developed in its meaning, is really interesting. It originally meant “capable of speech”, or the beginnings of speech like a baby would use. It has to do with that which is most appropriate or reasonable for a baby. So the next clue is this: the milk Peter wants us as a Church to crave is the kind that is just right for a spiritual baby being. 3) The immediate context is very pointed and helpful. The command still overshadowing these verses is verse 22, to fervently love one another from the heart. Verse 1 only makes sense if we see Peter telling us to lay off those actions that harm our love relationship, then verse 2, to strongly desire those actions which build our love relationship. The actions in the flesh of verse 1 are contrasted with the actions in the Spirit of verse 2. Plus, Peter just told his readers in verse 23 that we have been born again, and now he calls us newborn babies, and wants us to desire that which is most appropriate for newborns–things that harmonize with our brand new life. We’re saved, delivered, transformed, made new–now act like it in the way we treat each other. 4) The kicker is the plural–Peter commands all of us together to long for this spiritually pure milk. The command to long for is plural, speaking to all of us–you all long for these spiritual actions that build love. You all be filled with the Spirit so you will spiritually love each other and grow in Christ together. So, to long for the pure spiritual milk is God telling us as a church to passionately pursue appropriate speech and behavior that is going to be spiritual, or of the Spirit; a fruit of the Spirit–which is love, joy, peace, patience and kindness. Did you notice that kindness is mentioned in verse 3? This includes the Word of God, but also how we treat each other, and how we live in a way that actually builds the Body. And the only way we can ever build relationships in the Body is to be spiritual, filled with the Spirit, dependent upon the Spirit. That means we’re saturated in the Word of God, 100% dependent, confessing all known sin, and faithfully serving each other. Dependence upon the Spirit is the only way we can love each other, and build each other up to be more like Christ. Peter says, you all strip off the actions that ruin relationship, and desperately desire to build the body with the things of the Spirit, which is the Word of God–but also prayer, and relationship, and service. Hunger after that pure, uncontaminated spiritual milk. And why should we? Verse 2 so that by it you may grow in respect to salvation. Peter says the purpose for seeking to be in the Spirit, is so all of us together might be grown by God into our salvation. Peter is really clear, this is how we all grow–our growth is linked to each other. Meaning each of us is either a help or a hindrance to the spiritual growth of all of us. Which is why the church you faithfully attend is really important! Peter uses a passive verb, telling us God is the one who grows us–growth is done to us. We are grown by God as we strip off the old damaging practices and long for the new life practices of the Spirit. Peter says in verse 2, our growth will be in the sphere of salvation, deepening in the truth of salvation, living more in light of the Gospel, growing more into the doctrine of deliverance. Again, Peter just reminded us at the end of chapter 1 that we are born again, we have been made new, and we will be grown into that newness–we’ll not act like we used to act, we will follow Christ, obey His commandments, and stop acting in such a way that tears apart relationship with each other, but actually start acting according to the Word of God so that we build loving relationship. Some of you have stopped growing spiritually, you are stuck. You are suffering from spiritual fatalism. You have convinced yourselves you are never gonna grow beyond where you are right now. Your spiritual intensity is never going to change, you say–others are passionate, but I’ll never be that way. You may blame your family, your age, your church background, your genetic make up, the way you were raised, your marriage, your kids or your parents. Regardless, you feel that these pressures are just too strong to allow you to ever change or grow more zealous for God. You say, I will never delight more, love Christ more, be more bold, be more joyful, or be more hopeful. Peter and I scream, “No!” Spiritual fatalism is killing the Church, and hurting ours–it leaves people stuck. It takes away hope, dreams of change, and squashes the excitement of living for Christ. It is like telling an awkward 11-year-old gal she will never change. Or an 8-year-old boy, he will never become a man. Or an athlete that he’ll never make the team. Peter is commanding us not to be spiritual fatalists–never allow yourself to get stuck–long for the new life in Christ. Long for the means of grace to get you moving again–the Word of God, dependence upon the Spirit, answered prayer, intense relationship with others, committed in growing discipleship relationship. Did you catch the crazy here? Peter commands us “to desire” in verse 2. He commands you to have desires you don’t have . . . “to long” is a passionate desire–to live out our new life in Christ. Through dependence upon the Spirit, obedience to the Word, as you move closer to Christ through faith, not feelings–when you begin to embrace what Christ has done for you through the gospel, God will change your desires. You say I can’t–no, if you are a Christian you can’t say can’t! Since you can do all things through Christ who strengthens you. In one sense, you can’t, but God can through you! You say, I don’t want to. Then say to Christ, my heart is wrong, I am sorry, I will put my life in your hands, put my faith in you, trust you regardless of how I feel, and depend on you to change my desires. Where are you today, growing or stuck? What should I do? These verses tell us to . . .
1) Remember what God has done for you. 2) Turn to Christ with the faith of a child . . . tell him you don’t know what to do, but you are going to trust Him anyway by faith. 3) Rehearse the kindness of Christ in saving you and blessing you. 4) Surround yourself with those who are passionate for Christ and be open. Then Christ will stir up your heart desires for Him. Are these steps really that important? Yes. Peter says . . .
#1 Strip off all actions of your past life that ruin relationships. #2 Start desiring your new spiritual actions that build relationships. #3 Rehearse the kindness of Christ to you as the ultimate relationship. Verse 3 says, “If you have tasted the kindness of the Lord.” In English you have one “if”, but in Greek you have at least five “if”’s and this “if” is a first class condition, assuming it is true–so you could translate this “if” to say “since”. Plus Peter changes the type of verb to communicate certainty or fact, so he literally means since as a fact, you yourselves have certainly tasted God’s kindness. Tasted means enjoy and to personally experience. Why will a Christian certainly build strong relationships in the church? Why will we strip off the old actions that tear apart relationships? Why will we passionately desire the new actions that build relationships? Because as a fact, certainly as a believer, personally enjoyed and come to know from experience the kindness of the Lord. You are a horrific sinner, deserving of eternal punishment in hell forever. You were rotten to God, defiant, doing your own thing, you were deserving of the torments, torture, burning, darkness and weeping forever. You didn’t deserve a single kindness, nothing good, nor anything pleasant from your Creator. But then Christ the Lord saved you, gave you new life, forgave all your sin, cleansed you from the inside out, delivered you from your old life-style, made you a new person, showed you mercy, grace, love and a peace you don’t deserve. All of you Christians have personally tasted God’s kindness. Kindness has to do with goodness–healthy, and beneficial. It’s used to describe someone giving you a fortune. You deserved starvation and God gave you a banquet. You deserved impoverishment and God gave you millions. Kindness is Christ’s benevolence when you deserve nothing. Notice where this kindness comes from in verse 3–from the Lord–the One who is in charge, the Master, the Sovereign King of all, the One in authority. Listen, if the One in charge of all of life, if the One who is Lord of every detail, every circumstance and every relationship has been kind to you when He should have condemned you forever–then what greater motive could there be than for us to treat each other with kindness? If the Sovereign Lord of all relationships–Lord over our churches, your families and your friends–was kind to you when He should not have been, then shouldn’t we be kind to one another, even when someone else does not deserve it? Shouldn’t we be gracious and kind and loving and caring and fervent in our love for others who don’t deserve it at all, since Christ was so kind to you? Answer? Yes! God expects us to function together, as those who individually have been born again, made new, forgiven, and cleansed, and now made a part of the Lord’s team, to never do anything to tear the team down, but only build the team up. And our coach was so amazingly kind to us. He commands us to be amazingly kind to each other. The issue is not if, but when. It’s a part of being a saint who sins. None of us want to, but pastors will, elders will, leaders will, youth leaders will, discipleship group members will. We have to work hard to, #1 Strip off all actions of your past life that ruin relationships, #2 Start desiring your new spiritual actions that build relationships, and #3 Rehearse the kindness of Christ. But get used to life on a fallen planet–Christians will hurt you. Peter says in 1 Peter 4:8, “Above all, keep fervent in your love for one another, because love covers a multitude of sins.” Hey, people who are aware of their own sin find it much easier to cover, which means forget about the sins others have committed against them. And for a lot of hurts, we need to say, “Lord, that is no big deal–I know they didn’t mean it,” and let it go! But some you can’t, so . . .
Those who don’t make things right are either disobedient, or they are a phony Christian. It doesn’t matter how old you are, or how young you are–go to those who’ve hurt you or you’ve hurt. Make it right, forgive each other, love each other, and move on. How can you not forgive others when Christ has forgiven you?